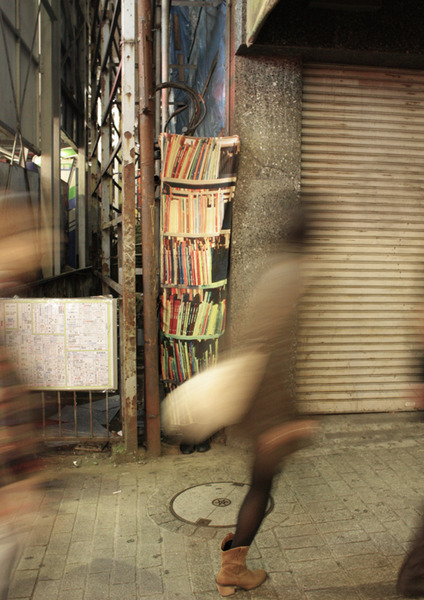 Integrity is a project which explores human behavior and communication methods in crowded urban environment. 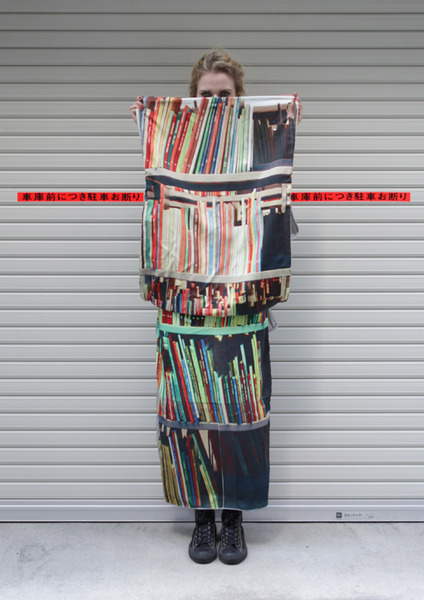 Bookshelf Dress is a garment that helps to hide the wearer from its surrounding. 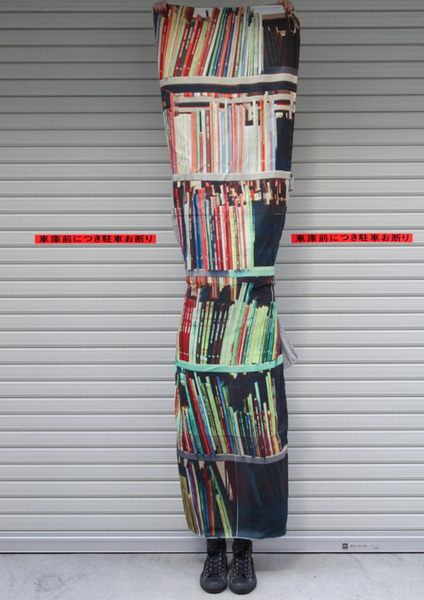 The Bookshelf Dress can be easily folded and used in any environment. 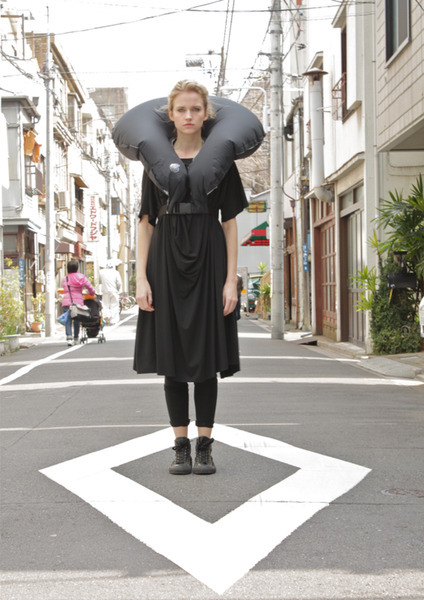 Black Air Dress has an inflatable collar which creates personal space for the wearer. 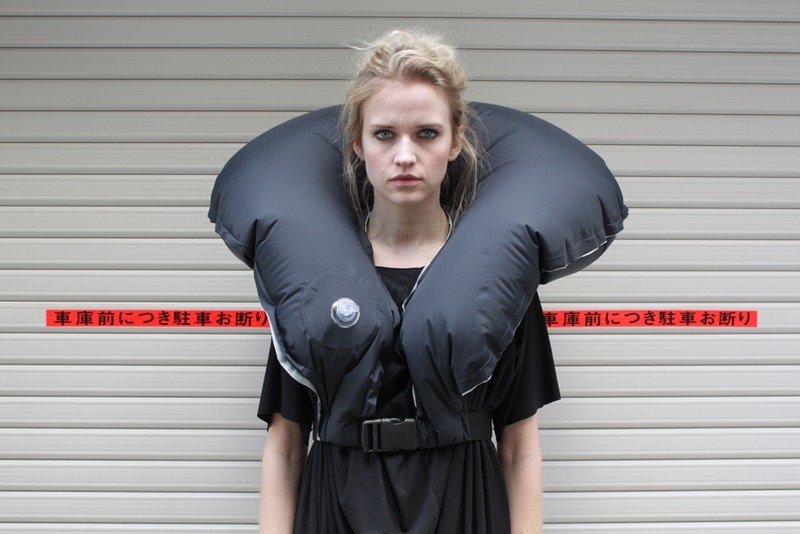 The wearer can lean on the collar and have a rest in any environment. 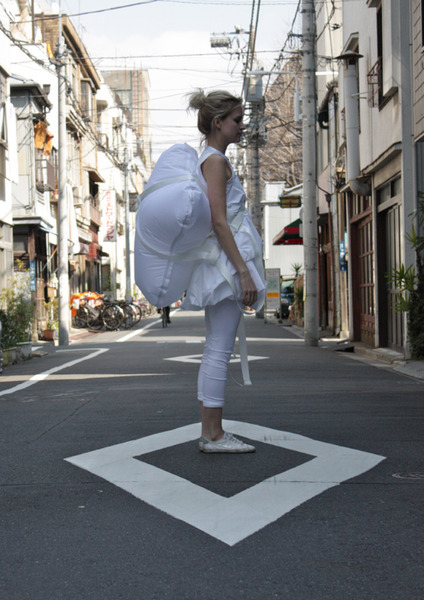 White Air Dress has an inflatable back that can be used in various environments to lean on. 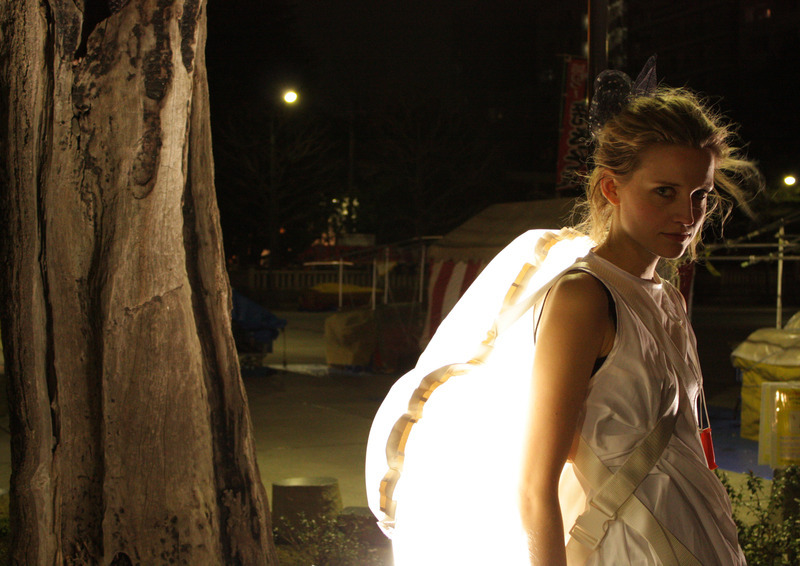 The inflatable part of the dress also contains electroluminescence light wires which make the dress glow in the dark and makes the wearer visible. 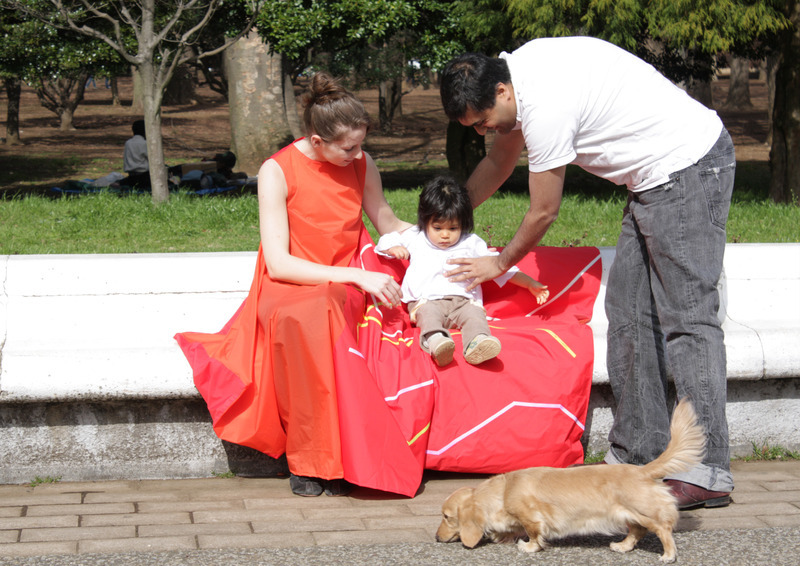 Thermochromic Dress is big enough to share with other people and to invite others to sit on the dress. 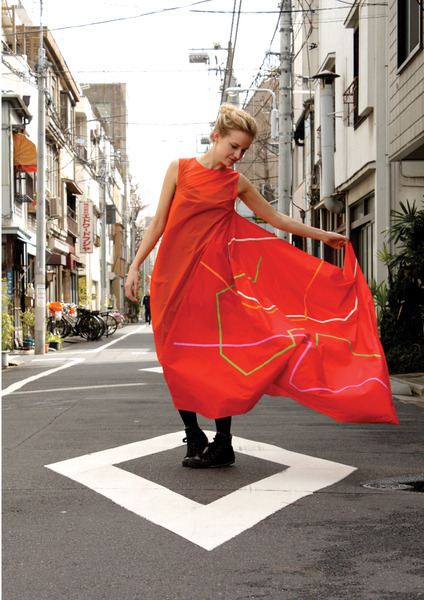 The dress is printed with thermochromic ink pattern and the colors of the pattern will change if someone sits on the dress. The outcome of the project is a collection of wearables - a tool to research social behaviors. 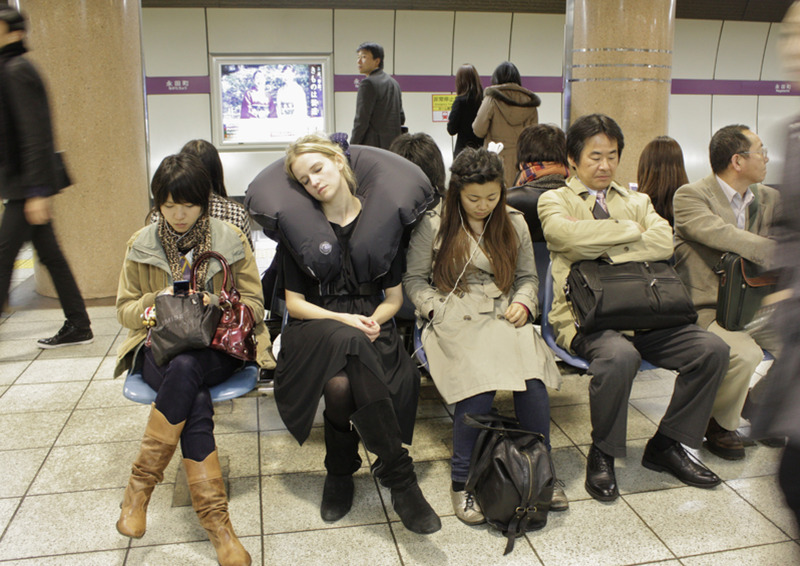 The garments were taken to Tokyo, to one of the most crowded cities in the world, and tested in public space. 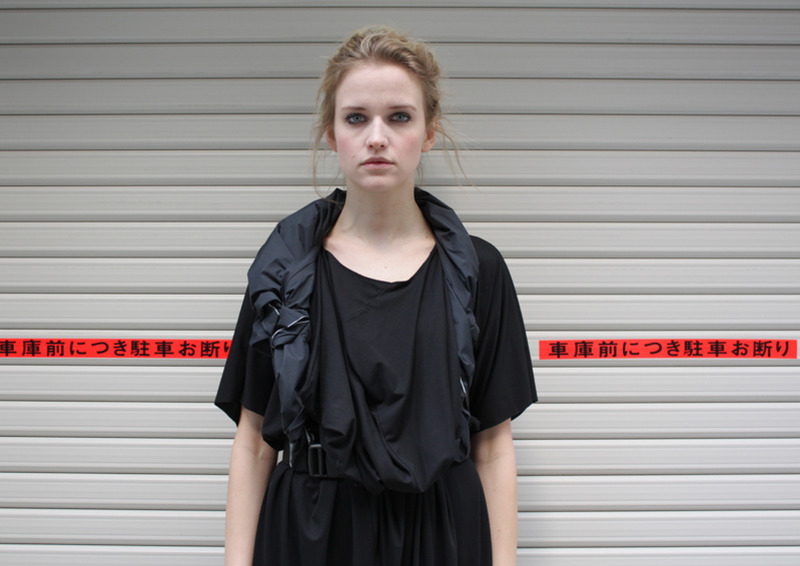 The result of the project is collection of wearables and thorough research about crowdedness. Design: Marta Kisand and Anna Lidström. Management: Eleonor Johansson, Katja Schmitz. Photos: Eleonor Johansson. 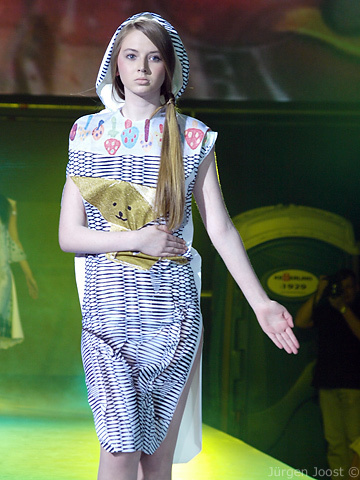 Fashion collection which combines primitive design methods with contemporary technology. The idea for the collection comes from early childhood, where dolls and their clothes were done out of paper by drawing, painting, glueing and cutting. The fashion of PaperDolls collection is done as small-scale design on paper using those primitive design techniques from childhood. 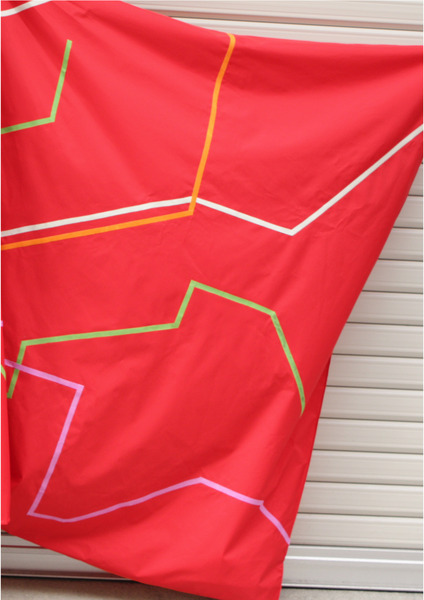 After that the outfits are scanned and enlarged in Photoshop into human scale and digitally printed on a fabric. Finally the outfits are sewn together with couple of side seams only. 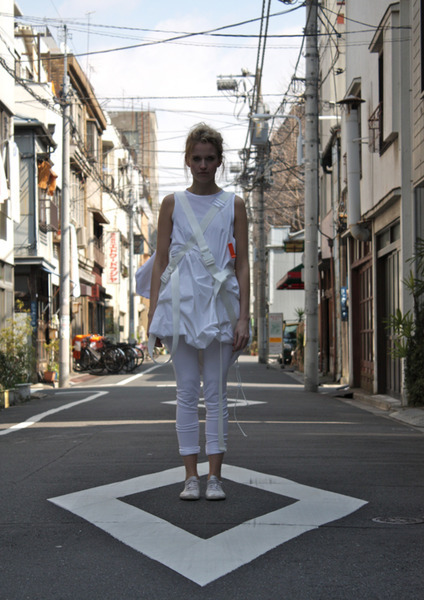 This design method challenges common understanding of fashion design and production. Modern technologies help us design in much more faster, efficient and creative ways. Paperdolls design and production technology is applied also on jewelry, we design soft brooches.